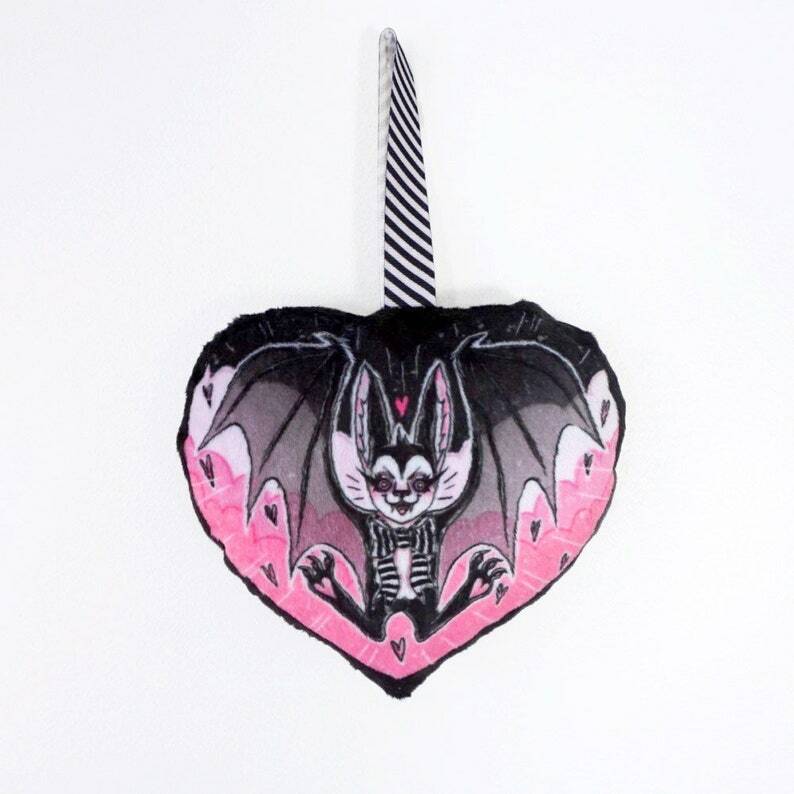 Handmade bag charm featuring a cute bat swoopin' in to LOVE YOU. 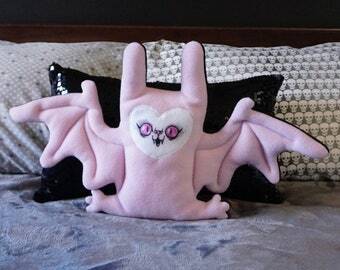 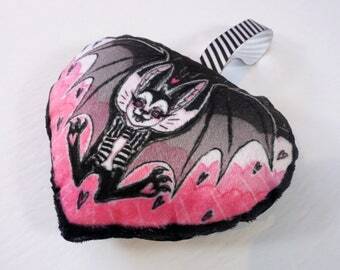 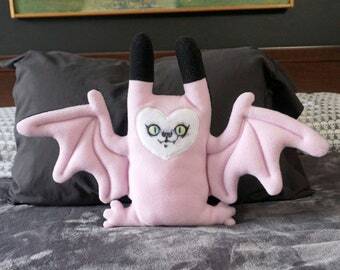 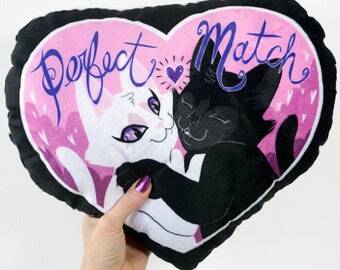 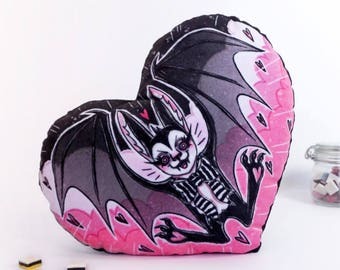 A tiny soft decorative pillow/plush doll featuring a charming love bat with a striped bow around its neck. 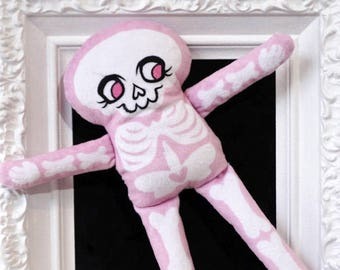 Soft pink clouds and little hearts are behind him in the background. 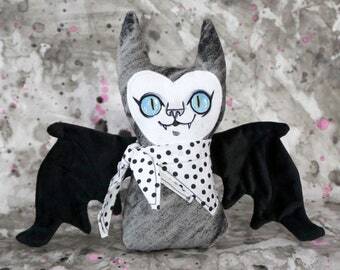 • Striped black and white ribbon loop at top to hang on Halloween tree, add to a clip on your purse, or just hang on the wall. 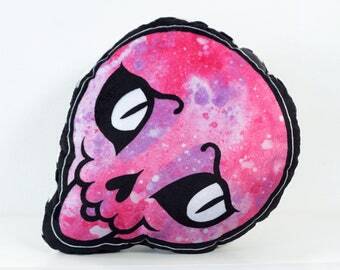 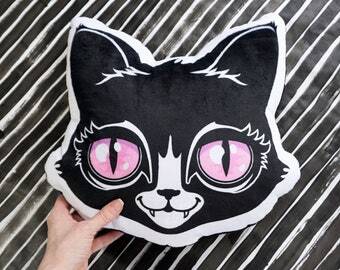 • Super soft minky fabric with a bright and detailed image. 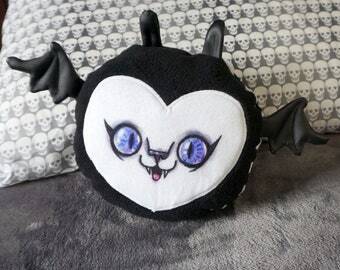 Back is plain soft black velvet.